Provide comfort for the family of Dena Seiden with a meaningful gesture of sympathy. SEIDEN, Dena. Born on September 18, 1944. 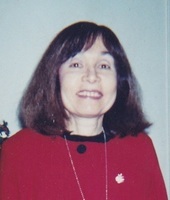 For many years Ms. Seiden was a bioethicist at Bellevue, Roosevelt and Elmhurst Hospitals in New York City. Funeral mass on Wednesday, April 10, 10:00 am at Blessed Sacrament Church, 152 West 71st Street, Manhattan. In lieu of flowers, please make donations to Cat Assistance (catassistanceny.org).. Donations are being accepted for: CAT ASSISTANCE INC. Consider providing a gift of comfort for the family of Dena Seiden by sending flowers. We encourage you to share your most beloved memories of Dena here, so that the family and other loved ones can always see it. You can upload cherished photographs, or share your favorite stories, and can even comment on those shared by others.